Patrice Chastagner was the Corporate Vice President in charge of STMicroelectronics’ Human Resources and has held this position since January 2005. 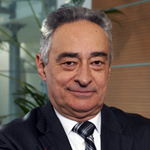 He has also been Chairman of ST’s French subsidiary since 2003. Chastagner began his career with Arthur Andersen accounting firm in Paris. Between 1975 and 1985, he served as Financial Director at Steelcase Strafor and the Revlon cosmetics group in France. In 1985, Chastagner joined Thomson EFCIS, a predecessor company to ST, as Financial Director. From 1987 to 2004, he served as Site Director in Grenoble, France, helping create a top semiconductor research hub in Europe. Between 1997 and 2003, Chastagner also managed Human Relations in ST’s then-largest product group, Telecommunications, Peripherals, and Automotive, and was an advocate of Total Quality Management (TQM). Chastagner was the Executive Vice President of the Association of Metallurgical and Electrical Industries in France (UDIMEC). He was named a Chevalier of the Legion of Honor by the French government in 2007. Patrice Chastagner was born in Seclin, France, in 1947, and graduated from HEC School of Management (Ecole des Hautes Etudes Commerciales) in Paris.